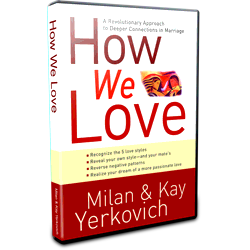 The broadcast resulting from Milan and Kay’s interview with Dennis Rainey and Bob Lepine titled, “How We Love” is scheduled to air on September 24-26, 2018. To find out what time the program will air on a station in your area, visit our website www.FamilyLifeToday.com for local station information. We hope you and your family and friends are able to tune in to these broadcasts.